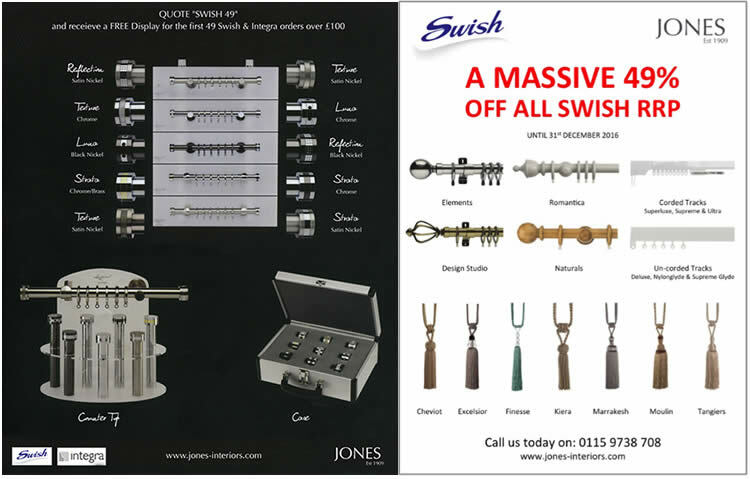 Its time to get prepared for the Christmas rush, and to help you do so we are offering a very impressive 49% off all Swish RRP prices across the entire range! Save on all metal and wood curtain poles across the range, including best sellers like Design Studio and Romantica, as well as all Swish curtain tracks and tiebacks; we can make the upcoming busy period that little bit better for you and help you save on your soft furnishing essentials. 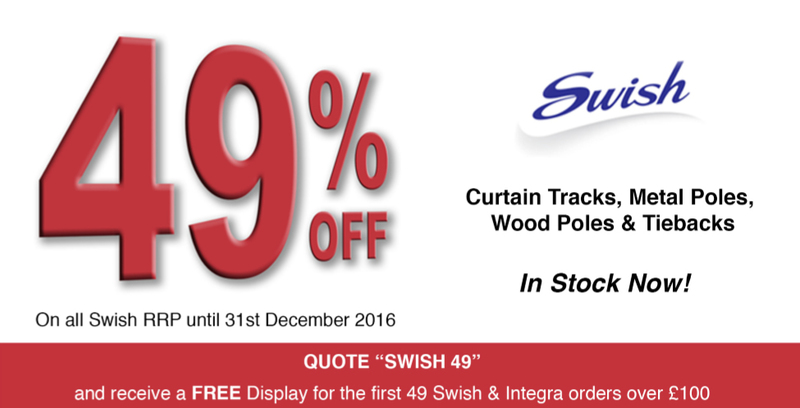 As well as this fantastic discount we are also offering FREE displays to the first 49 customers placing an orders over £100 on Swish and Integra Products… Simply quote “SWISH 49”.